Cravings almost always lead to relapse. Hypnosis patients get relaxed when he/she is in the state of hypnosis. Addiction cannot be cured as one quick fix, but many of the patients prefer hypnotherapy because it helps them battle against the emotional battle of addiction. Hypnotherapy has got no standard technique. There is no single treatment that can cure or recover all patient from addiction. Hypnotherapy gives a relaxing sensation to the patients by entering different levels of consciousness. While in this state, they are easily influenced. For the patient to be more responsive, the therapist will give ideas to the patient. The hypnosis does not mean the therapist can control the minds of the patients or the patients are required to give up their free will. Hypnosis will only teach the patient on how he/she will control their behavior and their actions more effectively. Addiction affects the person’s brain, psyche, and body. Its effects interfere with the physiologic functions of the brain; thereby, creating cravings all of the time. When the physical symptoms of the withdrawal phase surface, it is most of the time extremely challenging to resist the cravings. Cravings are hard to beat for anyone who is addicted to drugs, alcohol, cigarettes, gambling, or any other behavior that is addictive. However, the practitioners of hypnosis believe that they can help the patients when it comes to cravings. Their blood pressure and heart rate drops and the brain waves significantly change as an effect. Their subconscious is fully awake and aware even if their conscious part of the mind fades back. Targeting the subconscious mind will make the patient believe the experts’ suggestions such as alcohol is bad, cigarettes can kill you, and chocolates are bad for you. Along the process, the behavior of the patient will be affected especially after waking up from the relaxed trance. Combining hypnosis with cognitive behavioral therapy has shown successful outputs in smokers, which is one of the toughest addiction to beat. With the help of hypnotherapy, many people have also been successful in losing weight. Through combining exercise, hypnosis, and proper nutrition, people were able to resist cravings. There is a possibility that they may harm their patients because some of them are not well trained. However, there are already many reputable practitioners of hypnosis. 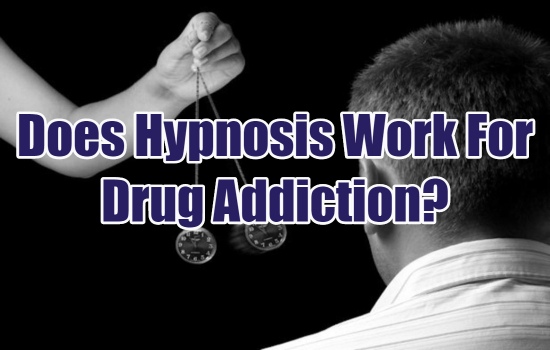 While there is a lack of research findings on how hypnosis helps reduce cravings of the addicted patients, hypnotherapy has been well recognized as a strong resistance factor. The treatment may not work for everyone, but if you seek help and advice from experienced and reputable hypnotherapists, excellent results may come out. It all depends on the patient’s willingness to break away from the addiction. Some of the common methods involve counseling and psychological support, medications, and substance-abuse rehabilitation centers. During the post-withdrawal phase of treatment, hypnotherapy may be an effective supplementary tool towards recovery. It can be used to reinforce positive changes and eliminate cravings, as well as teach patients the necessary motivation to live a new life.